When we visited Denver, we really enjoyed seeing the mountains, exploring the city, walking around in the snow, and visiting friends. 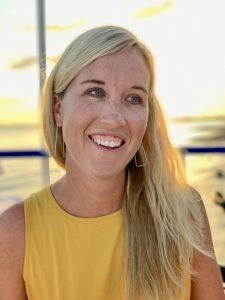 However, this tropical family can only go without sea life for so long! 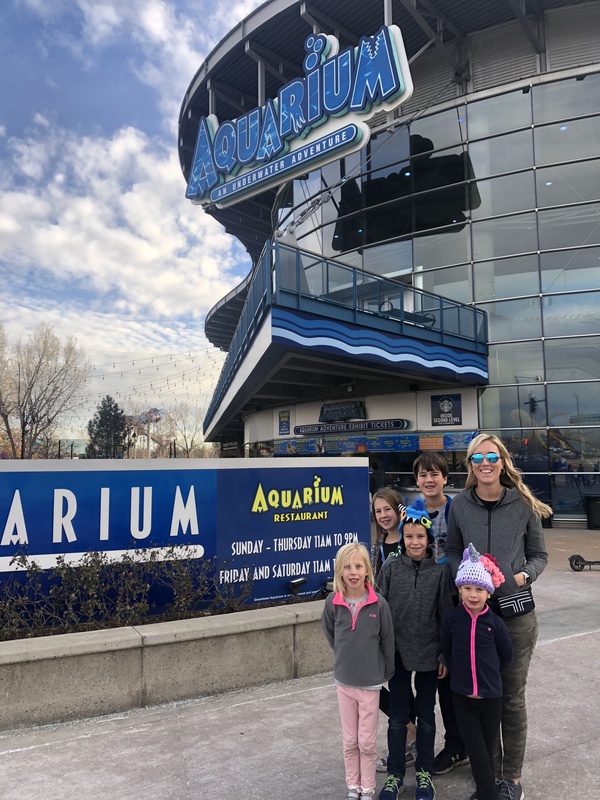 So when we discovered Downtown Aquarium in the heart of Denver, we knew this was a must-do for our family. 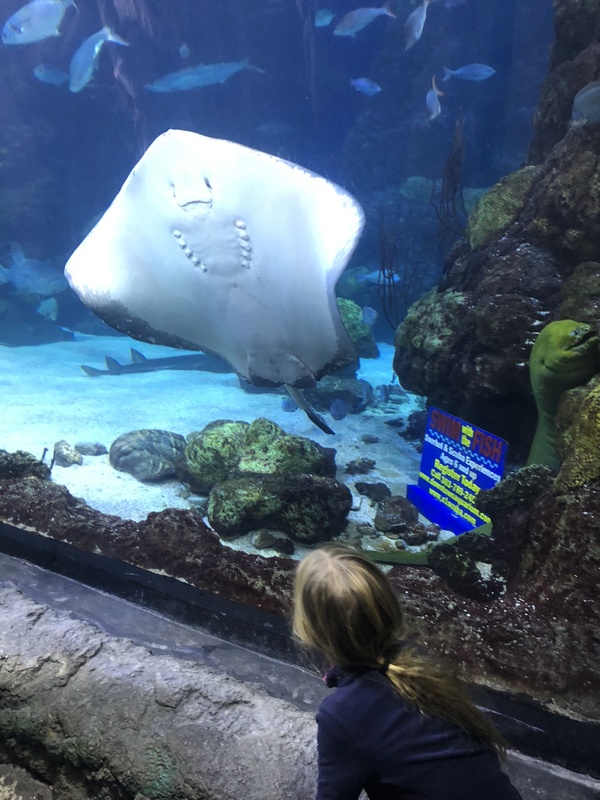 Downtown Aquarium is one of several locations that feature an amazing aquarium, as well as a restaurant that features views of this beautiful sea life. There are two other locations in Texas, and also one in Nashville, Tennessee. 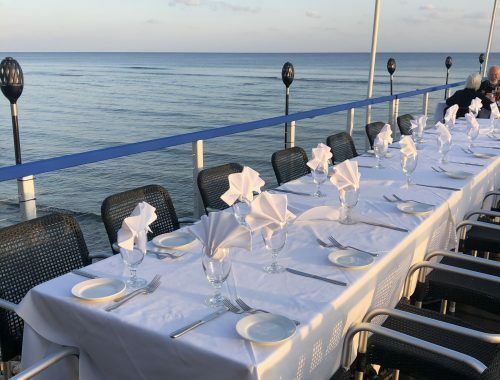 At each of these locations, you can visit a beautiful tropical aquarium and also have a delicious meal while viewing sea life. 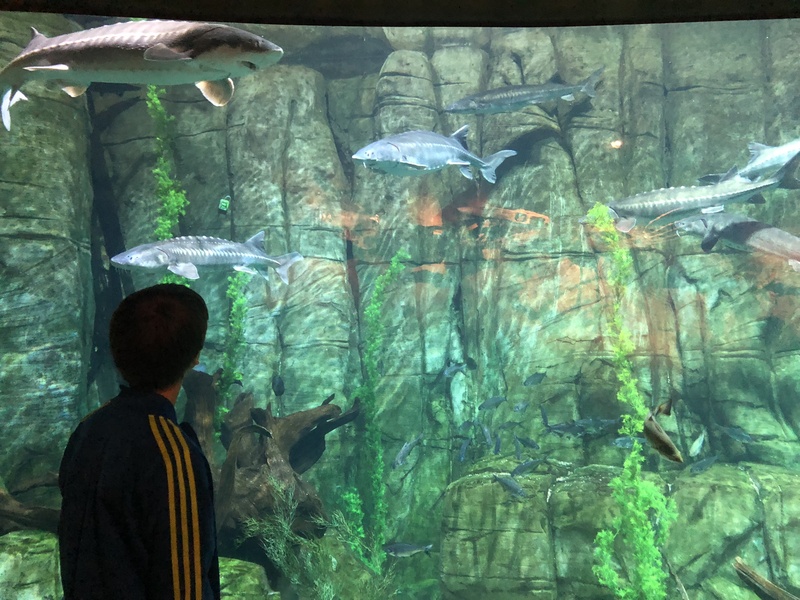 The Downtown Aquarium in Denver features over a million gallons of underwater exhibits, showcasing ecosystems from around the world. There are over 500 species of creatures, a sting ray touch tank, a ballroom, restaurant, 4D movie, and full service bar. This is a huge facility, that is well maintained and has lots of interaction available for every member of your family. As soon as your approach Downtown Aquarium, the first thing you will notice is the sheer size of the building! This place is so impressive and if you drive or walk by, your kids will be begging to find out what’s inside this colorful and inviting space. 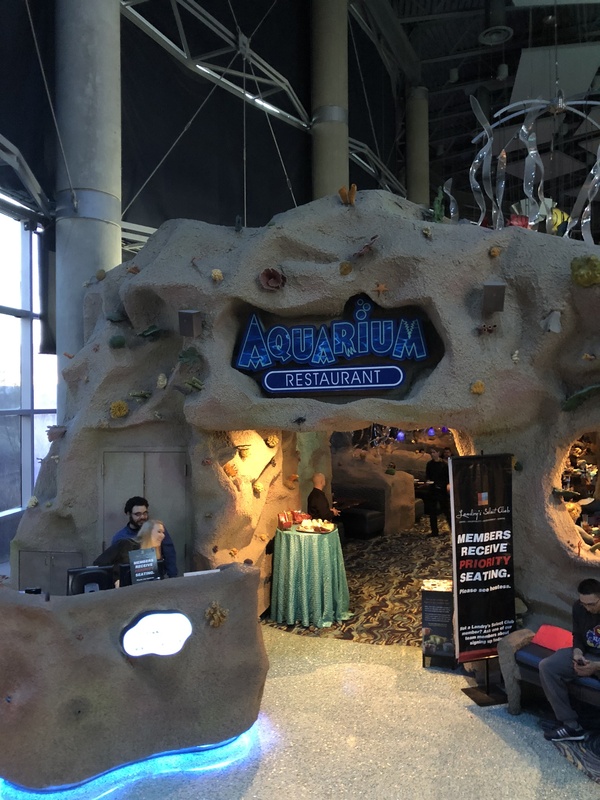 The Downtown Aquarium is located in an area of Denver that has several museums and activities for families and children. It’s very convenient that when you get to this area, you have several options to fill a whole day. 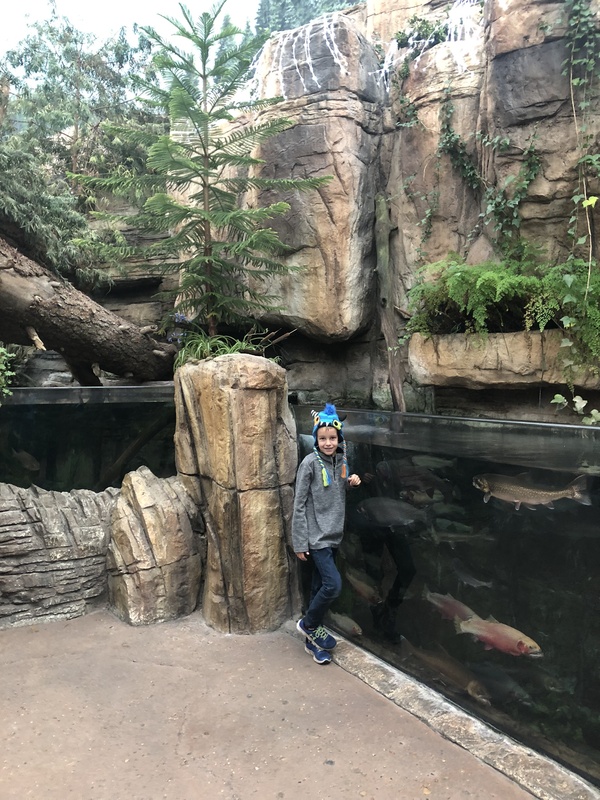 This area was within walking distance to where we were staying during our time in Denver, so we enjoyed a brisk walk to the Downtown Aquarium. 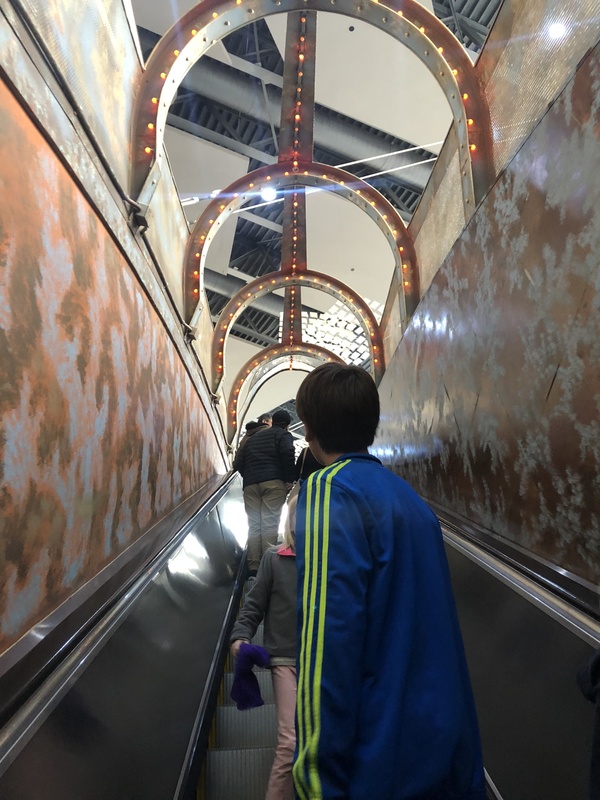 To enter the Downtown Aquarium exhibits, you take an escalator to the second story. There are lots of fun photo opportunities, and each of my five children wanted to stop at each and every one! When you enter the exhibit area, you are greeted with a huge map of the world, which explains where each of the exhibits are representing. 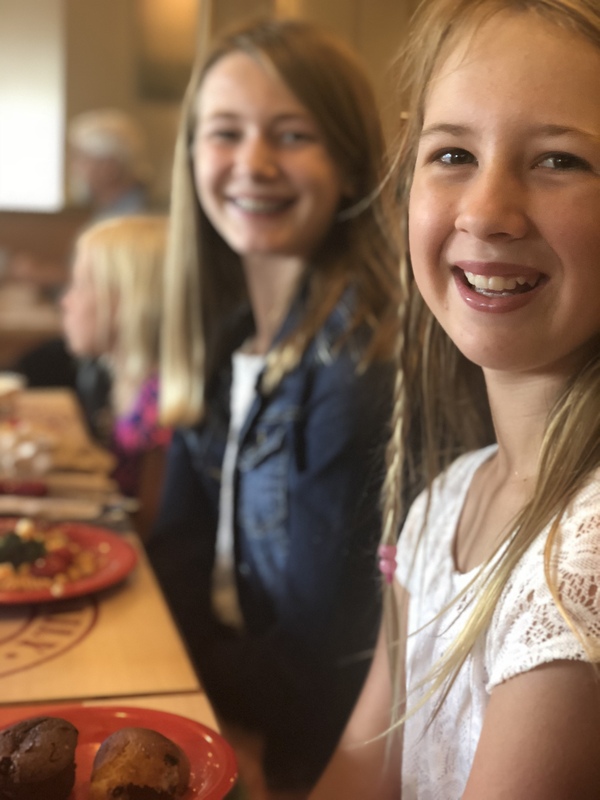 As a homeschooling family, I’m always thrilled to incorporate learning into our travels, and in this location, it was so easy to do in a fun and seamless way. Do kids even realize they are learning when they are having this much fun?! There were so many colorful exhibits and beautiful creatures to explore. One really fun surprise was that there is a tiger exhibit at the Downtown Aquarium! 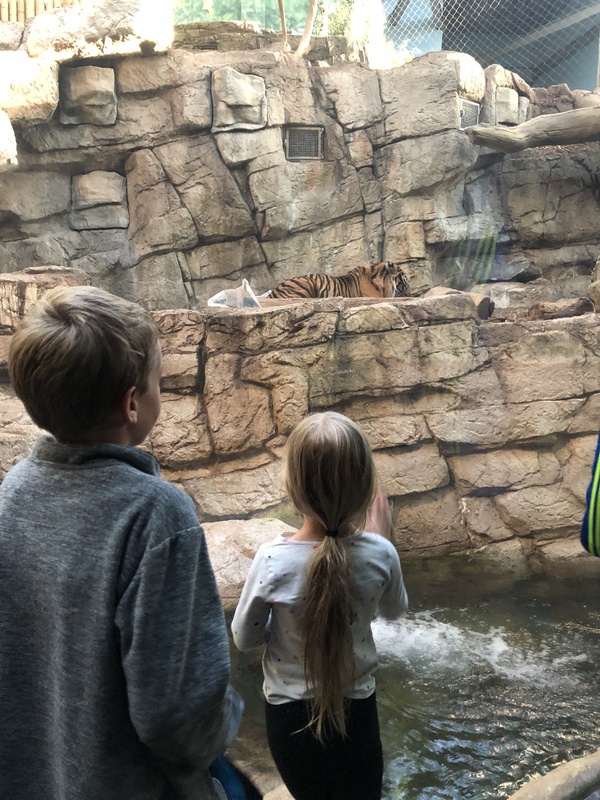 Tigers are my 9 year old son’s absolute favorite animal, so it was quite a a treat to come across this exhibit. My girls were thrilled to find a Mermaid rolling by as well. You never know what you might find at the Downtown Aquarium in Denver! 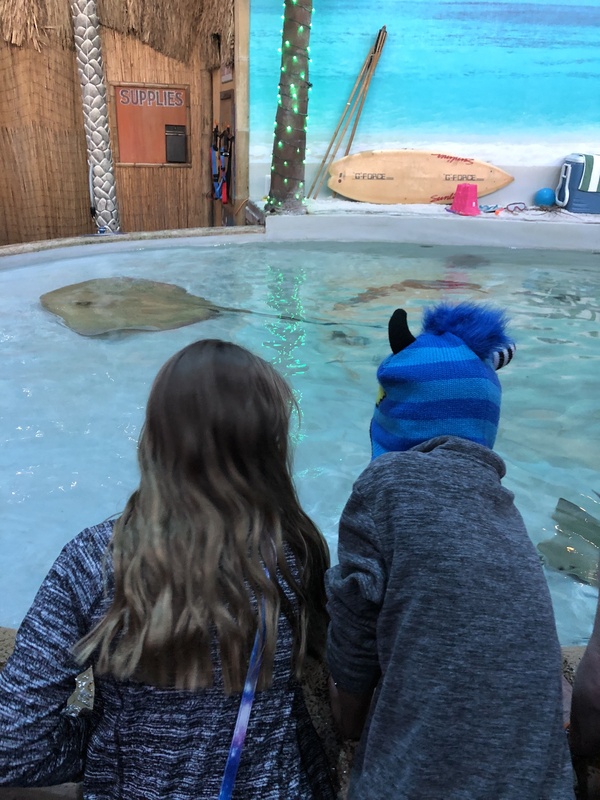 We always love touch tanks and my children did not hesitate to line up to touch the sting rays towards the end of our visit. 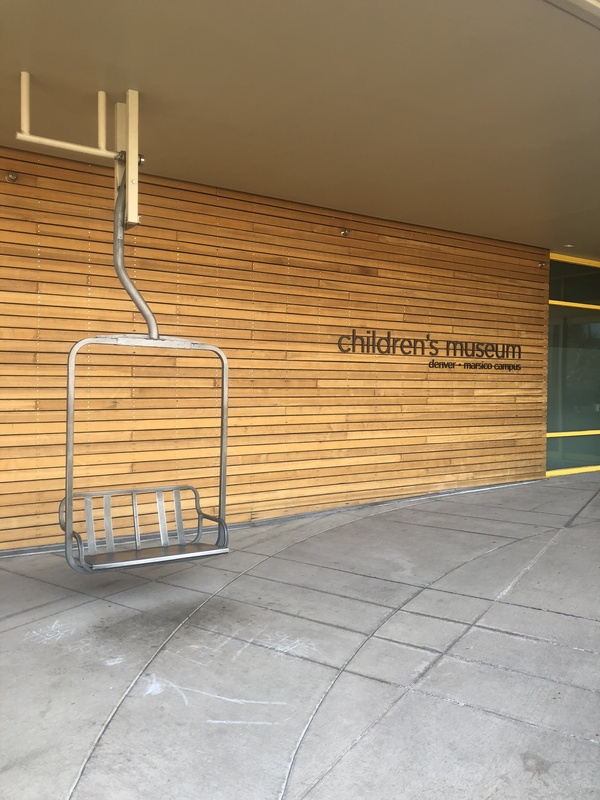 Even on a busy day, there was plenty of space available for everyone to be able to experience the wonder of these creatures, and lots of hand washing stations available as well. As I’ve mentioned before, we collect pressed pennies from our travels, and we were so happy to find a souvenir penny machine at the gift shop. This was our only pressed penny from our time in Denver, so we were so thankful that the Downtown Aquarium had this available. It’s the perfect thrifty and small souvenir when you are traveling as a family of seven! 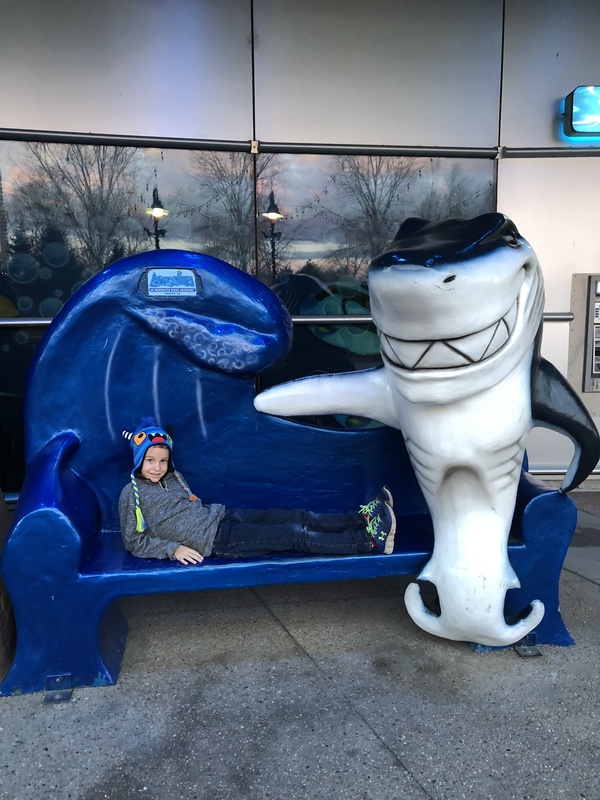 There is also a restaurant at the Downtown Aquarium, but we did not have the chance to experience this during our visit. From the outside, it looked wonderful, and the menu looked delicious as well. Hopefully we will have the chance to visit in the future! 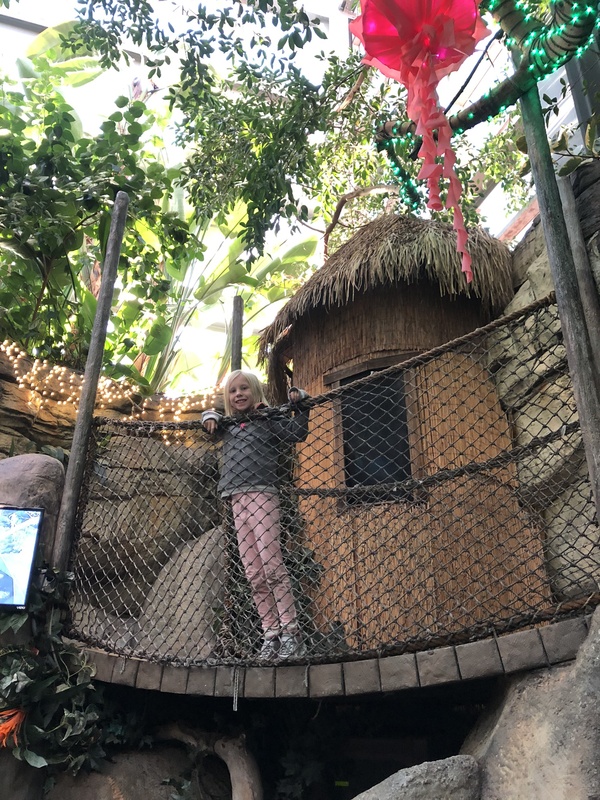 During our visit to the mountain city of Denver, we were so happy to have a touch of our tropical home and visit sea creatures on a cold and snowy day. 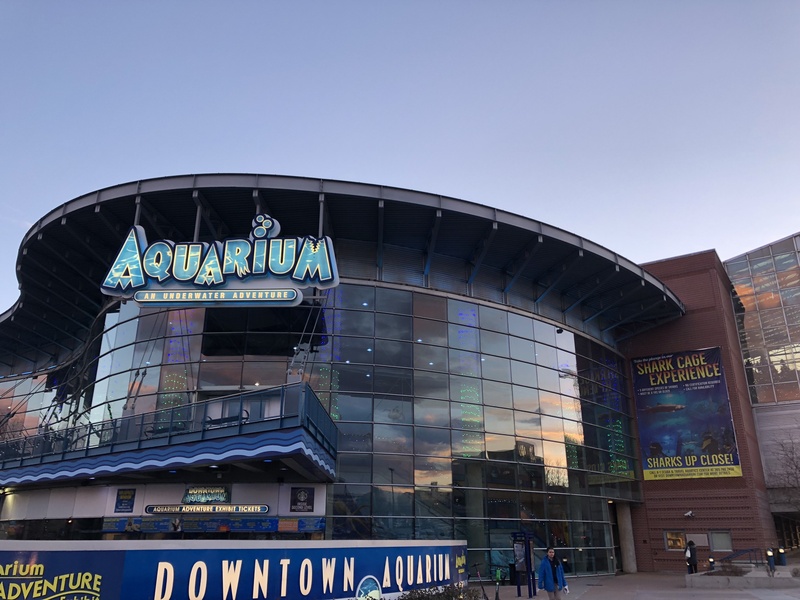 The Downtown Aquarium in Denver is a great option for visitors to stay warm and experience sea life. It is colorful, clean, and well-run. Be sure to check out their website for all of the details on prices, hours, and location. And visit me on Instagram to watch my stories for more video and pictures from our visit! *We were provided with complimentary admission in exchange for my honest and unbiased review. All opinions are my own. GameTime Orlando for the Win!